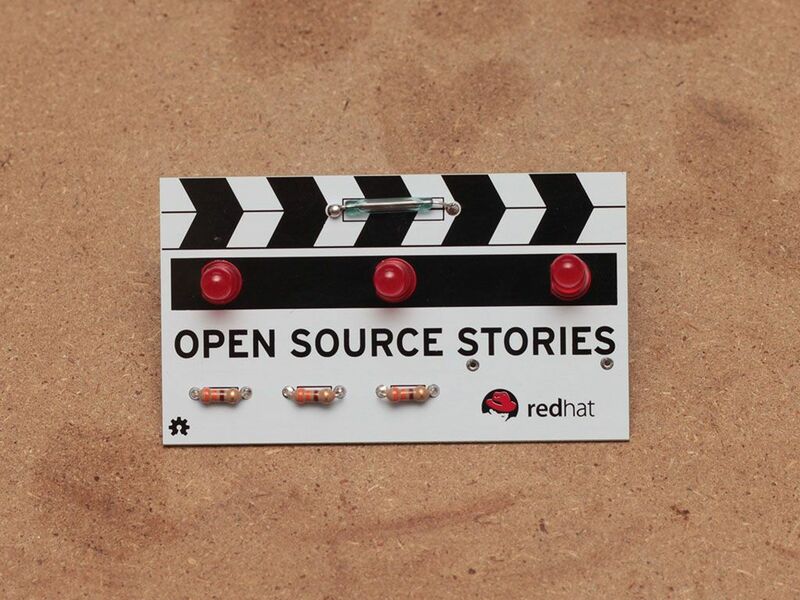 Open Source Stories is a multimedia documentary series about people who dare to build things out in the open for all to share and build upon. Whether it's the 3-D printed prosthetics in our e-Nable story, or the cars of tomorrow in our Road to A.I. 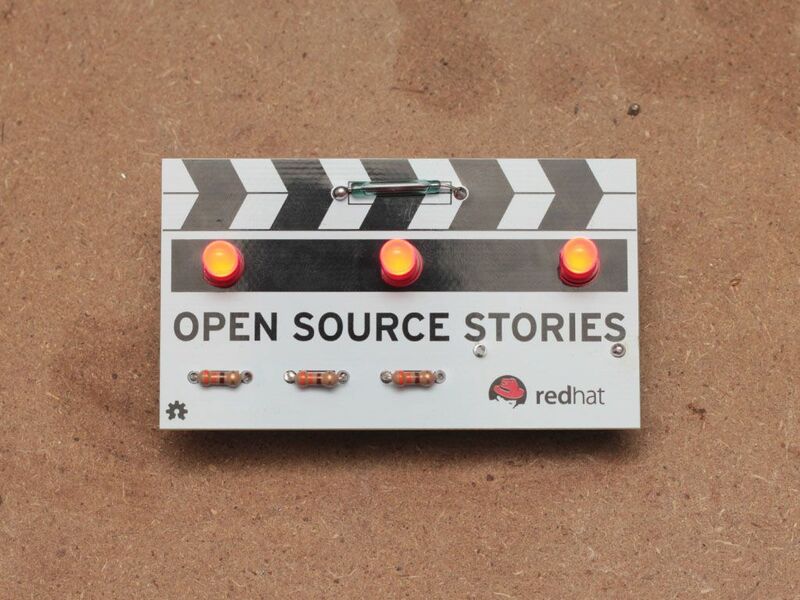 story, open hardware is seriously germane to the conversation. 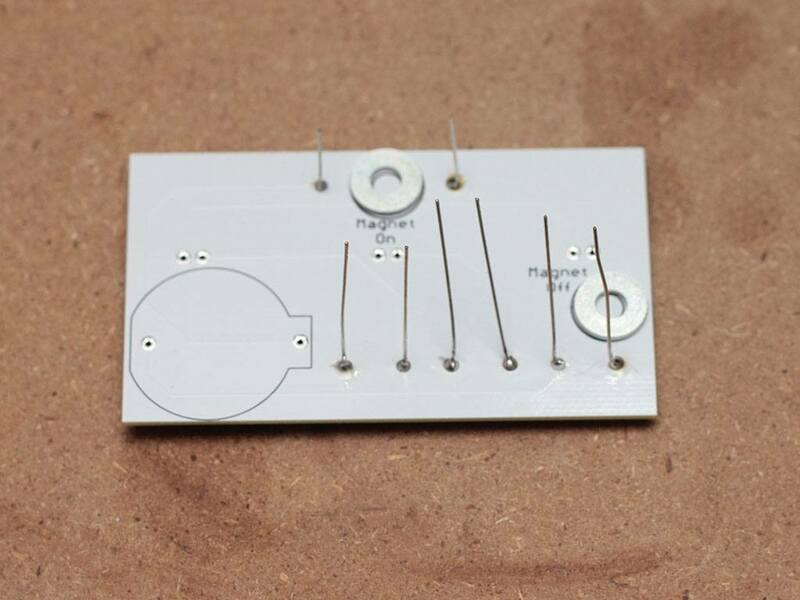 From the front of the badge, bend the legs of your components (the reed switch and the resistors) and feed them through the holes of the PCB. 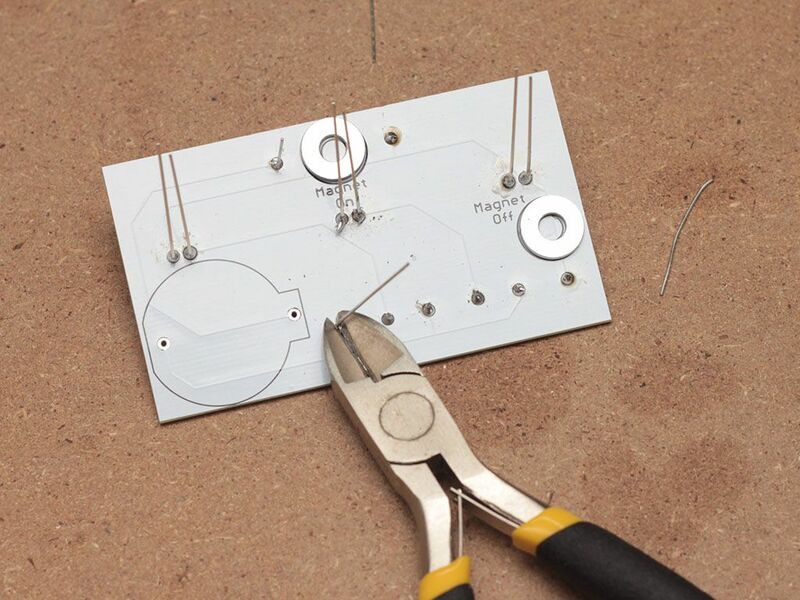 Turn the badge over and solder in the reed switch (long, clear-green component) by touching solder and the component to a soldering iron. 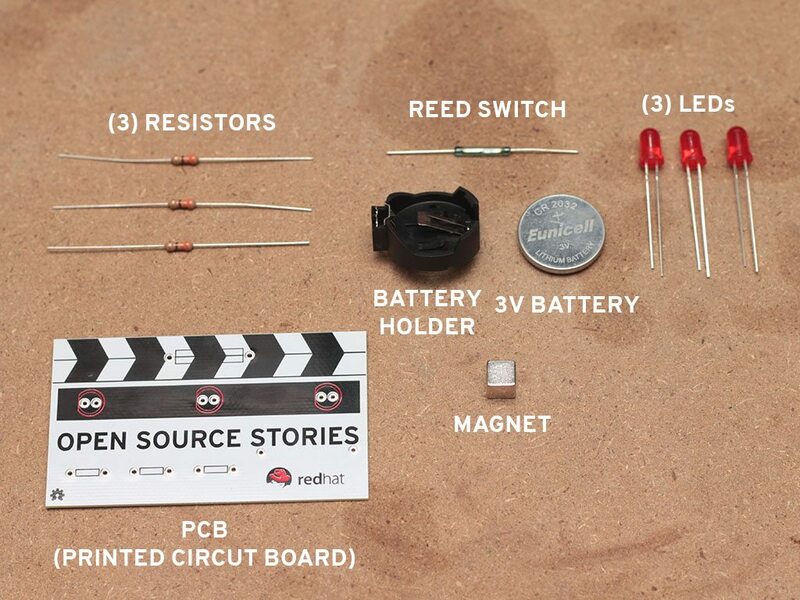 Solder your 3 resistors (small, tan components). LEDs are directional, so match the short leg to the flat side of the circle to feed your LEDs through the front of the PCB and solder them in. Trim the excess legs of the components. 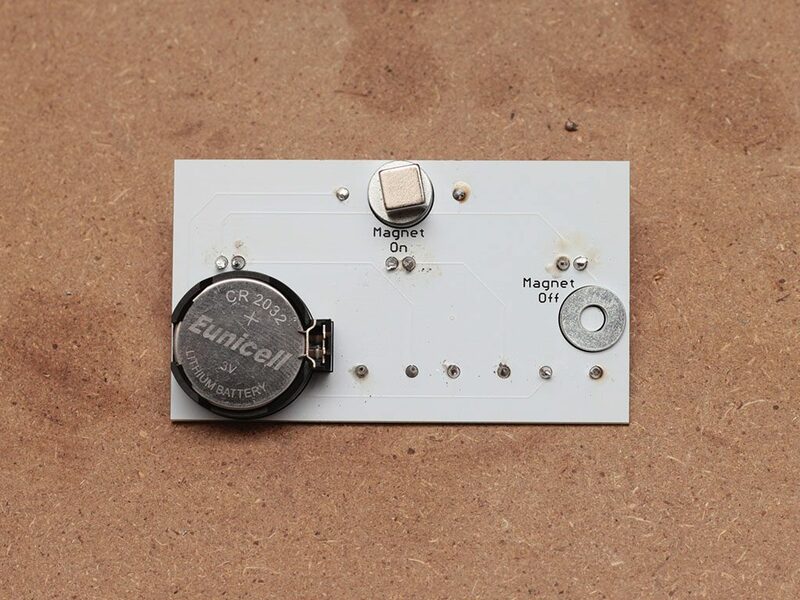 Place the battery holder into the back of the PCB. Turn it over and solder it in place. 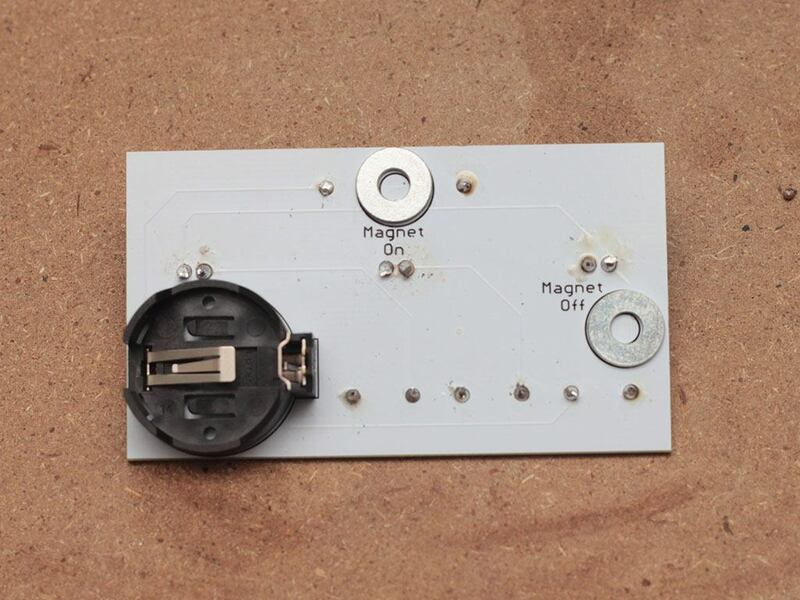 Insert the battery into the holder ("+" side up) and test the board by placing the magnet over "Magnet On." 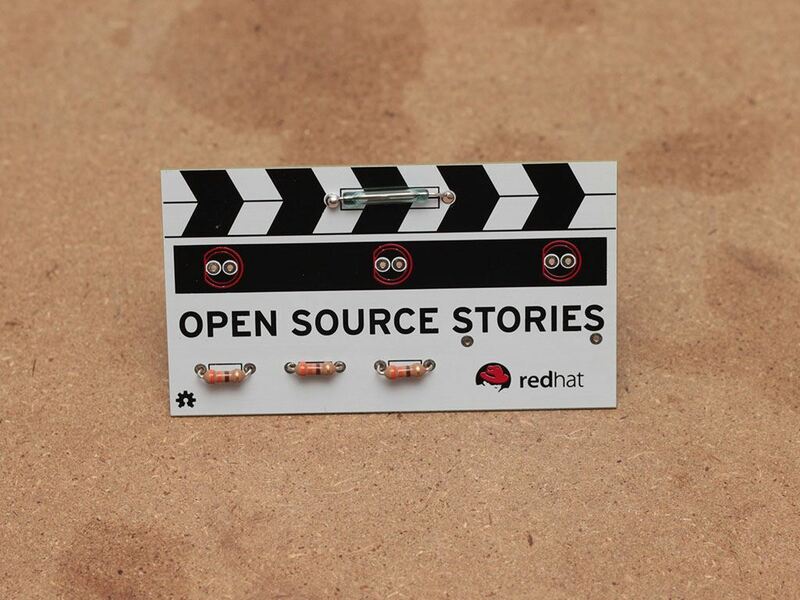 Put the pin on your shirt or backpack. 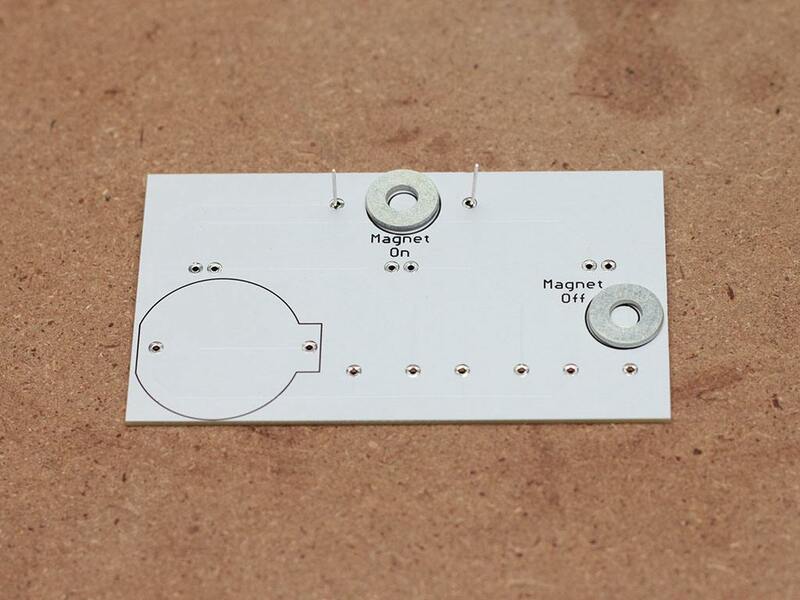 To keep it attached without draining the battery, place the magnet over "Magnet Off."